Though Get By ApS makes every effort to assure the accuracy of its website contents, Get By ApS as the Mediator is in no way liable to its Customers for possible delays or bus departure cancellations of particular Carriers, neither for potential mistakes on bus schedules so by that Get By ApS cannot be held liable for any damages resulting from the use of its website. While Get By ApS believes the information to be reliable, human, mechanical or system errors remain possible. 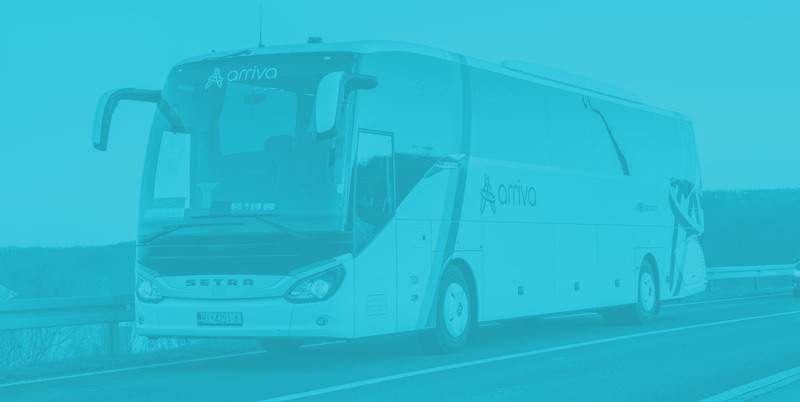 Therefore Get By ApS will not be responsible for consequences resulting from any errors on GetByBus.com website. Get By ApS does not guarantee the accuracy, completeness, timeliness, or correct sequencing of information provided herein. Further, Get By ApS shall not be responsible for any error or omission, or for the use of, or the results obtained from the use of, this information. If you believe there is a web site error, please report it by sending us an e-mail on info@getbybus.com or you may complete a short web form and explaining what happened and what page it happened on. We will make a reasonable effort to correct any error brought to our attention. We appreciate your help in correcting any error. Report web error here.